The purpose of this article is to provide a few tips and tricks for formatting some of our most popular license plate cameras (IPLP-SB4IRZ). Formatting license plate cameras (also known as ALPR or LPR cameras) correctly is the difference between being able to read the license plate or not. These settings are dependent on your property and are crucial for capturing the details you are looking for. 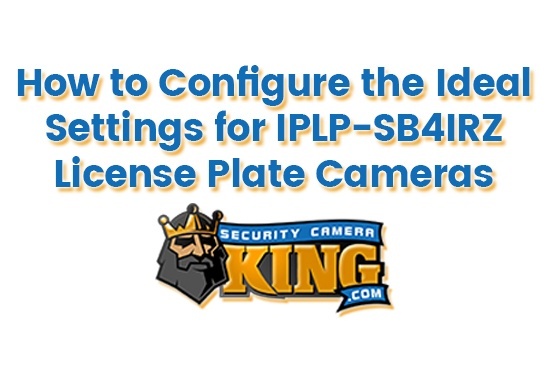 Continue reading to learn how to configure the ideal settings for IPLP-SB4IRZ license plate cameras. I’ve also included a helpful video to follow along with at the end of the article. To view the 4MP Sibell IP IR Motorized Zoom License Plate Camera (IPLP-SB4IRZ) then click on the link provided. You can also check out a demo of our license plate camera below. 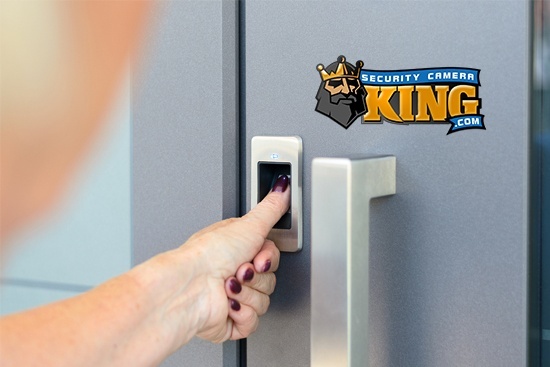 If you want to view more videos or take a look at our huge inventory of security cameras for sale online then visit Security Camera King. Let’s get started. The first thing we want to do is show you how to zoom in and out. Begin by going into the web interface and zooming in on a license plate. Select Config in the top right corner. Then select Image, located in the menu on the right. Click Zoom / Focus. This is where you are able to choose zoom minus or zoom plus. Use the Zoom – and Zoom + controls to find your desired location. The camera will focus for you automatically. After you have found the right location, select Image again. Then select Display Settings, located directly underneath Image. Here you can set a schedule. 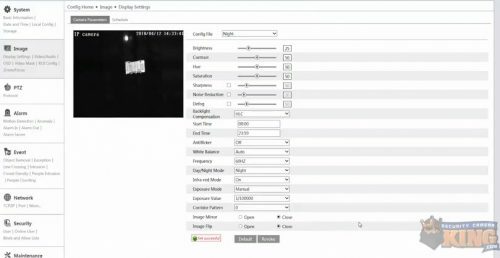 By default, the camera is set to automatically adjust from Day/ Night Mode. For this example, I am going to force it to go into Night Mode and have the appropriate shutter speed settings applied to it. Let’s start with Night Mode. Select Config File and then click on Night. Then locate Backlight Compensation. Select the drop-down option and click on HLC (highlight compensation). This will make the start time and end time set for all day long because we set a schedule for it to pull that profile from. Next, locate Day/ Night Mode and select the drop-down menu option and click on Night. This forces it into Night Mode, which pulls up the night template. Select the Infrared Mode options and switch to On. And select the Exposure Mode options and switch to Manual. Exposure Value also needs to be switched, but it can vary depending on the environment. For this example, we will start with one over one hundred thousand. Select the Exposure Value options and click 1/100000. If everything matches the settings you see in the image above then we can move on and begin setting the Day Mode profile. First, select the Config File options and click on Day. The only thing that you will need to do in the Day profile is turn off Day/ Night Mode and switch it to Day Mode. Select the Day/ Night Mode options and click on Day to that it pulls that profile. Once you have all of that set, select Schedule (located above your video footage next to Camera Parameters). Select the Schedule options and click on Schedule. There you will see your schedule with the Day Mode colored blue and Night Mode colored white. *The Schedule is often set to all day by default so you will need to change those two depending on your own schedule, settings, brightness, and other factors. For this example, I will set the Day Schedule to start at 6:00 am and end at 19:00 (or 7:00 pm) that evening. Once the Schedule has been set to reflect your choices, select Save. Automatic license plate recognition cameras are some of the most highly advanced security cameras available. They are capable of recognizing and recording license plate numbers from a far distance in both light and dark environments. The featured (IPLP-SB4IRZ) license plate cameras are an extremely popular choice because of their combined impressive features and affordable cost. Take a look at the IPLP-SB4IRZ below to learn more about some of its key features and highlighted specs. 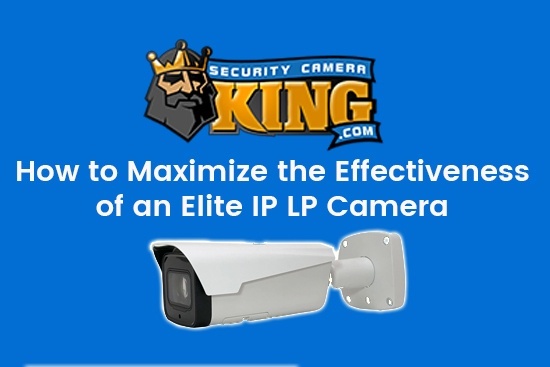 Security Camera King is an online security camera retailer and distributor. We carry a huge inventory of different security cameras, video recorders, surveillance systems, access control equipment, and more. 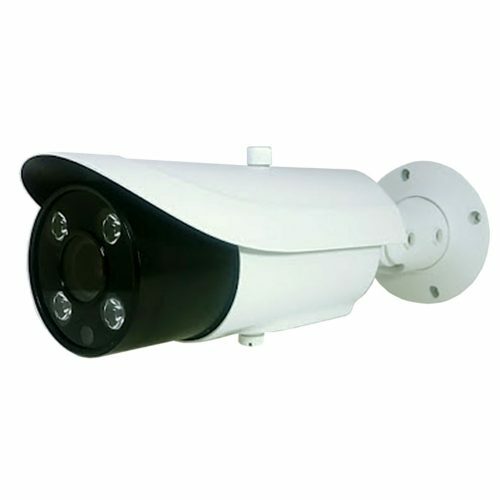 We are nationwide online security camera suppliers and are part of a network of industry-related businesses. These professional partnerships give us the ability to help with any security service you might need, making us your complete source for everything surveillance. 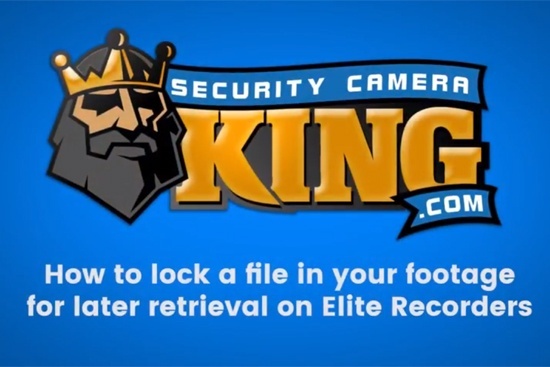 Be sure and watch more security camera reviews and product comparisons in our Video Vault. You can also read more news and articles in our Security Articles (such as choosing the best wireless security camera system in 2018). We have a ton of different guides and regularly add more helpful tutorials to both. Call us toll-free at 866-573-8878 if you are having any problems or want to know more about anything discussed in this article. If you have more specific questions, please Email Us.